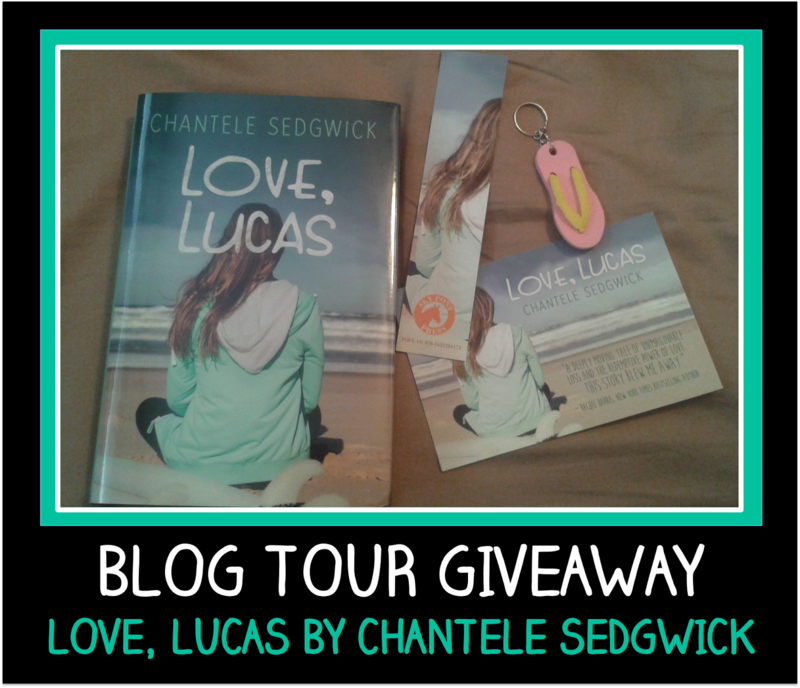 Love, Lucas by Chantele Sedgwick + Giftcard and Book Giveaway! I'm so happy to be a part of this tour for Love, Lucas. 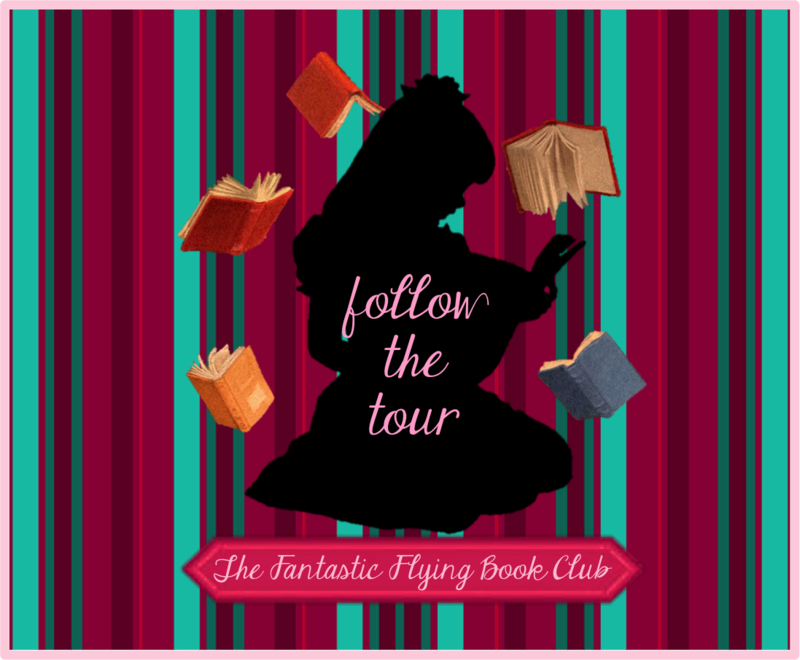 When I signed on for this tour I was really hoping to love this book. It sounded like it had emotional potential and one thing I love when I read books is to be sucked in emotionally. Oakley's brother has just passed away from cancer. She is devastated, hurting and feeling so alone. Her parents are struggling separately and together and Oakley is basically left to work through all these feelings on her own. It's just heart wrenching. I did love the emotional connection I felt to Oakley. I was caught up and invested in this book the whole way through. It was sad and hopeful at the same time. I will admit to shedding a few tears throughout this book. It was really good. Oakley is on an emotional journey, trying to heal and find a way back to herself and I went on the journey with her. What are ten things we need to know about Carson? 3. Close to his family. Especially his sister. 4. Skittles are his candy of choice. 7. He's all about helping people. 8. Truly cares about those he loves. 9. He was a straight A student in high school. Which character from your book would you most like to have dinner with? Dinner With Oakley. Just so I can give her a big hug. 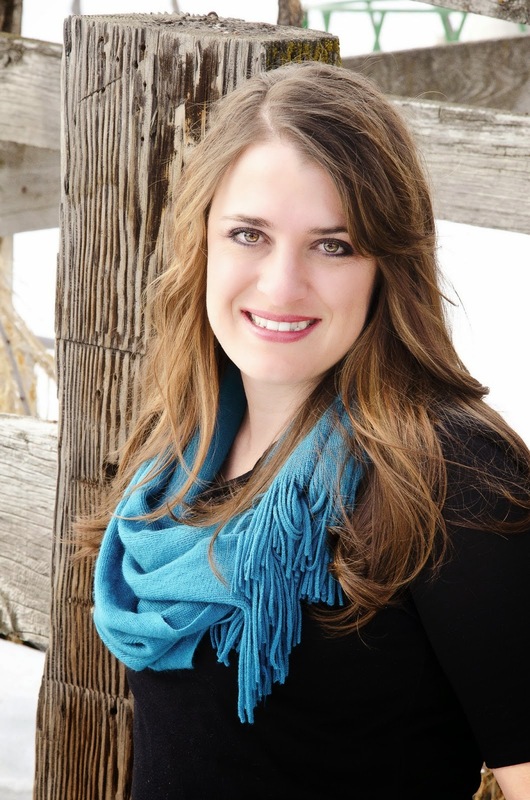 Tell us about a typical day in the life of Chantele Sedgwick. 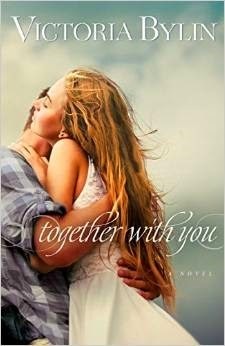 If you are a in the mood for a sweet, gentle, Christian fiction book, then this is probably exactly what you are looking for! This book felt like a blanket on a cold day. You can cozy up with it and be lulled into a serene place. The down side to lulled and serene is that sometimes I felt like things were moving so slowly. The story, while sweet, lacked the emotional investment that I was looking for. My heart never pounded, my gut never clenched. I felt like I was being told a story and sat on the outside looking in. Still, I enjoyed much of the book and I fully appreciate that this book is squeaky clean. No swearing, no sexual content. This is a Christian fiction book so there are Christian elements and talk of God. 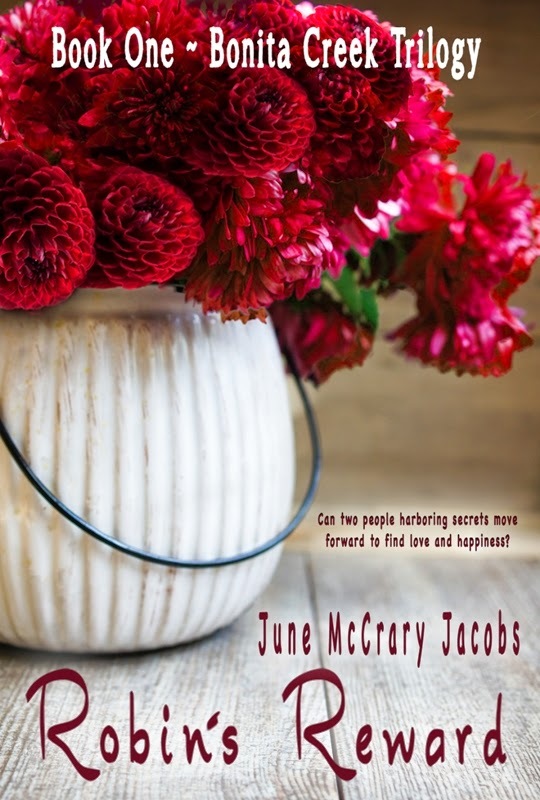 Award-winning author, June McCrary Jacobs, was the winner of Cedar Fort Publishing’s 2013 Holiday Tale Contest for her debut novella, ‘A Holiday Miracle in Apple Blossom’. 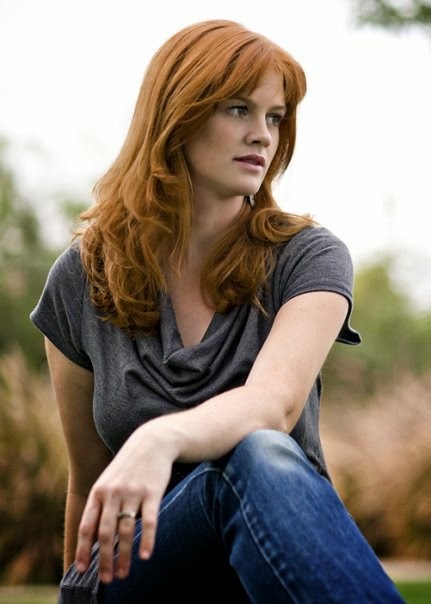 ‘Robin’s Reward’ is her first full-length novel, and is set in her favorite location in California—the Mendocino coastal region. 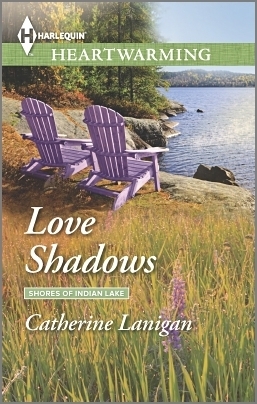 This book is the first installment of the ‘Bonita Creek Trilogy’. 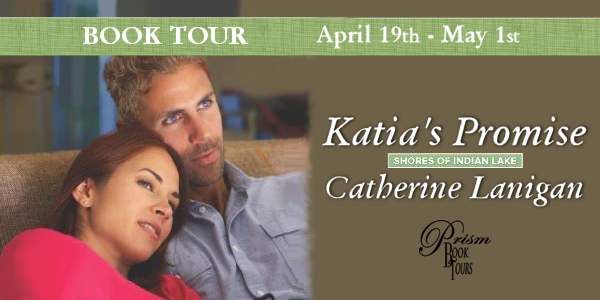 On Tour with Katia's Promise + $100 and Book Giveaway! Katia Stanislaus is a top insurance agent in Chicago, but her company is about to fold if she can't pull off a miracle. 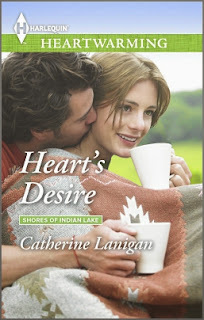 She convinces her boss to relocate to Indian Lake where she lived as a child and broke the heart of the one man whose account would be enough to save her job and her company. The only problem is that Austin McCreary has been a near recluse since the day Katia left him. Austin won't take her calls and appears set on revenge for the pain Katia has caused him. Just seeing Austin, catapaults Katia back to the time when she was 16 and so very much in love. But it was just a teenage crush, wasn't it? I will admit that I haven't read the previous books in this series. 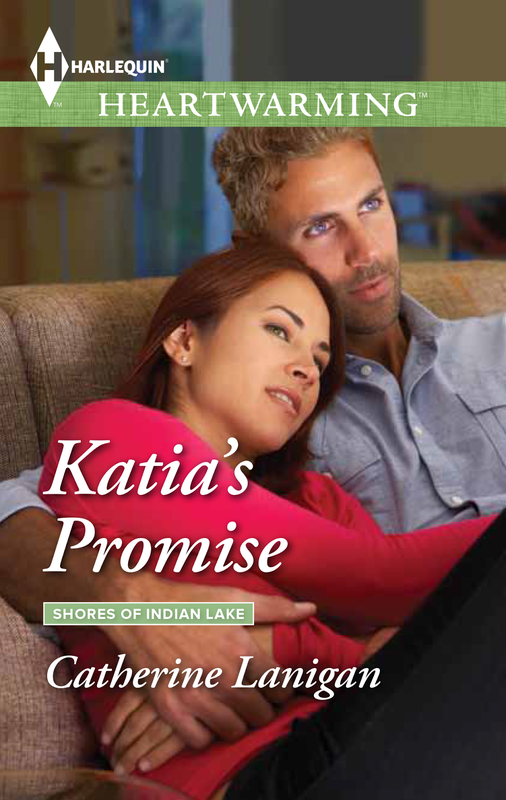 Katia's Promise is the fourth book in this Shores of Indian Lake series but each book can stand alone and is not dependent on the others. 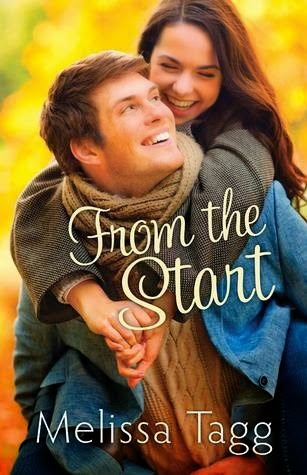 Although, the couples from the previous books were in this book and I could tell that they would have meant more to me if I had read the books in order. Katia and Austin have a past. Things didn't end well between them. Well, actually, they didn't even end. Things just dropped off abruptly and there was no closure which left many unanswered questions. That left two people with a lot of baggage to work through when they connected again. This is a clean romance with no content to disclose. (yay!!) 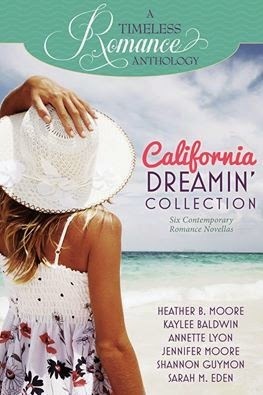 I will be keeping this author and the rest of the books in this series in my sights for future reading! This is a meaty sort of book. 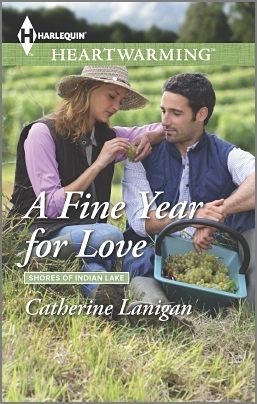 Yes, it has a developing romance but nothing is really acted upon until the end of the book. Ryan and Carly are attracted to each other from the beginning but there are some major issues that separate them. Ryan and Carly are really opposites as to where they are in life. Ryan is a bit older than Carly with teenage sons from a first marriage, and a daughter from an affair he had. He is trying to make up for his mistakes and be a good father to his children but he is in a bit over his head. His daughter suffers from FAE (fetal alcohol effects) and needs extra special care and attention. It's a lot for one single dad to handle. Ryan needs Carly so badly. 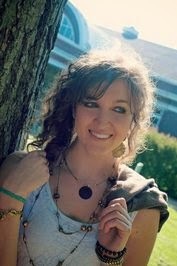 I loved Carly. She is smart and capable but very soft and human too. She loves with her whole heart. She was easy to connect with. Like I said, this book has some meat to it. Real life complications are everywhere in this book. The author does a great job of balancing things so the book doesn't ever feel too heavy. This is also a Christian fiction book so there is talk about God. I really liked this book. I read through it quickly and became invested early on. 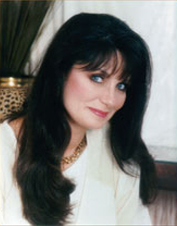 I'll be looking for more books by this author! 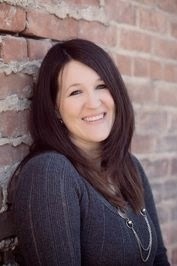 My thanks to Bethany House Publishers for allowing me to read and review titles for them via NetGalley. Plucked from the streets to become a court jester, Farrago’s life couldn’t be better, especially now that he’s flirting with scullery maid Thea. But when Thea turns out to be a queen in disguise, Farrago may become as much a fool in love as in his occupation. 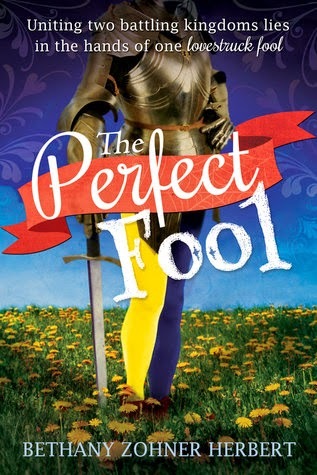 This medieval tale is filled with romance, humor, and twists that will keep you guessing to the last page. The beginning of this book was slow going for me. I wasn't convinced I was going to like this book at all but thankfully things picked up and I ended up really enjoying myself. This is supposed to be a "medieval" tale but it reads more like contemporary fiction. The setting is in a more medieval time but the characters do not talk or act as such. Which is fine, but just don't go into this book thinking you are getting a authentic feeling medieval tale. There is a fun cast of characters, a bit of intrigue and a happily ever after ending that wasn't completely what I was expecting. I liked that. I honestly love this series. I'm always anxiously awaiting the next book and the chance to read and review it. This is one of my favorite Christian Fiction series. Jake is a tough nut to crack. Because of the horrific events surrounding his military service, Jake suffers from PTSD. In order to keep it all together, he has hardened himself and built walls of protection. It's how he copes. 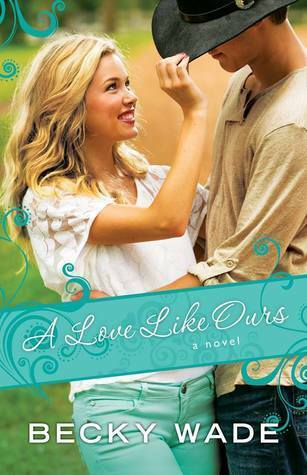 But, Lyndie has loved Jake forever and she is determined to find a way in and make Jake love her again. I love Lyndie. She is determined but always gentle and loving. She tries to understand and she wants to help. Not pity, but compassion and empathy. I think people who have grown up with a special needs sibling in their home have a special knack for understanding and loving people better. That natural instinct for compassion and patience is so attractive. This is what Lyndie brings to the relationship. The slow progression for Jake is so satisfying to read. 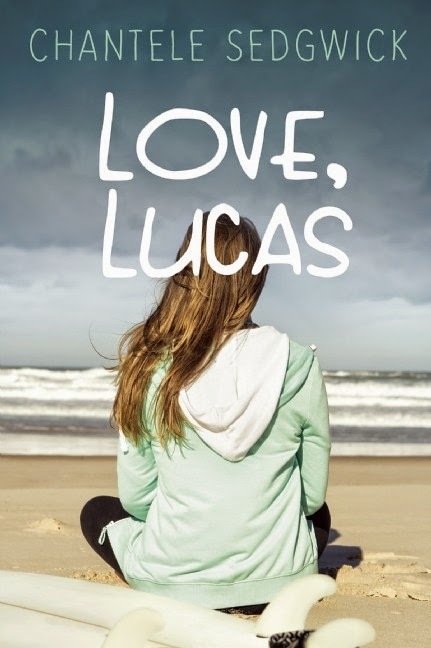 I loved the flow of the book and I loved learning in bits about both Jake and Lyndie. This is one of those "feel good" books leave you so content in the end. It's a great addition to this Porter Family series. I loved it! Content: Clean- some kissing. Flashback to a violent military accident. 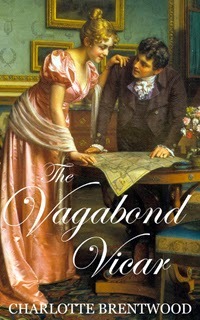 The Vagabond Vicar is an unashamedly romantic historical novel you'll fall in love with. If you love Jane Austen and Georgette Heyer, can't get enough of Downton Abbey or Cranford, or just prefer old-fashioned boy-meets-girl stories, try reading Charlotte Brentwood. Please note, although there is some mention of religious subject matter due to the hero's occupation, this is not an "inspirational" novel. 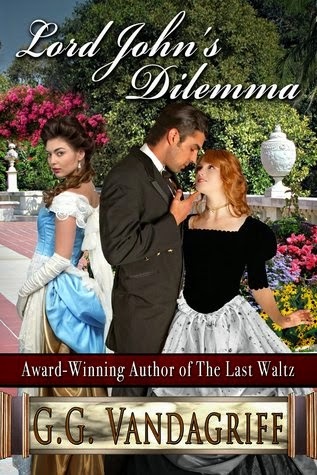 This was a good regency romance. It was gentle and slow moving as you might expect. The characters were good and although I didn't feel particularly attached to them, I was interested in them and their outcome. Both William and Cecilia (especially William) spend a lot of time in the book remunerating the many fantastic qualities of the other. Sometimes the on and on repeated descriptions got a bit much but overall this was a book I enjoyed. 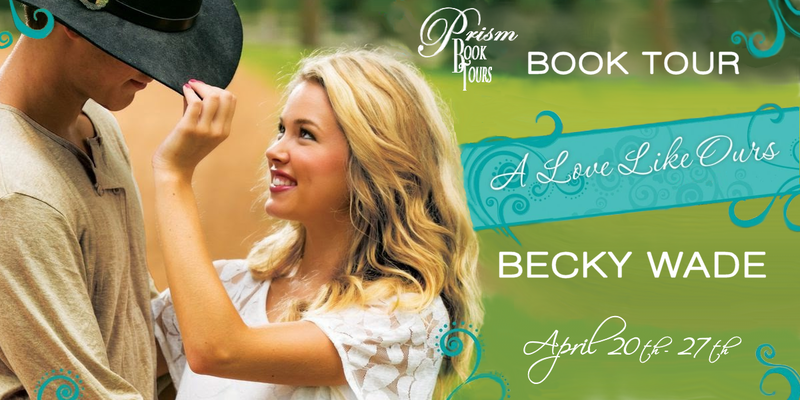 It was clean and sweet and full of classic, small English town quirks and had many of the qualities you might look for if you love regency romance. Ooh, this one was L*O*V*E for me! My favorite authors all combined with my favorite setting in the world. California. Yes, I'm biased. I grew up in California, my family is in California and even though I'm not living there now, bits of my heart are scattered all over that state. Sometimes this girl is just in the mood for a good regency romance. This book fit the bill perfectly. Imagining those lovely dresses, walks in the garden and taking tea is all part of the regency charm. Lord John is tired. After facing the atrocities of war, he is longing for a quiet life in the country to lift his spirits and rejuvenate his soul. Now he needs to find a wife who shares the same desires. Lord John thinks he knows what he wants but then he meets Miss Haverley and he becomes distracted by her loveliness and charm. He knows there is more to Miss Haverley than meets the eye. She is hiding something and he is determined to find out what and why. 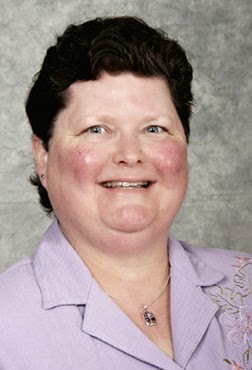 Miss Haverley is a mystery and there are things about her that just don't add up. She has everyone wondering. Especially Lord John. He is determined to unravel her secrets because she is the sunshine and light to his darkness. I enjoyed this book and it's characters. It was a gentle, easy read and I was quite content to stay in the English countryside with Lord John and Miss Haverley. I need to pick up the first book in this series because I'm so curious about Lord John's brother and his story. This book can stand alone though. I don't think you need to read the first to be fully invested in the second. It's just my curiosity now, driving me to read the first book. I know where I'll go when that regency mood hits again! Oh, man. Wowza. Okay. Where do I start and what do I say? Summer Queen was intense. Like scary intense. At least for me it was. There was so much going on in this book. There were plots and sub-plots. It was full on, all the time. Several times I had to walk away from this book because the emotional intensity was too much. I just needed to breathe for a few minutes and let the anger go. Nelay is strong and smart and determined. She knows what she wants and she has a plan. Unfortunately, other people try to force her into things she doesn't want but Nelay is so determined. She will accomplish what she has set out to do. No matter what. Nelay is also angry a lot. She is a force to be reckoned with. She is fiercely loyal to her family, her people and close friend. Actually, Nelay is just fierce. I wouldn't want to go up against her! That is not to say that she doesn't have some softness in her, because she does. It just doesn't come out a lot because she cannot afford to be soft. To be soft would mean death in most instances. This book is very violent. So much fighting, so much death. It was hard for me to read. That, combined with the intensity, is the reason I had to put it down and walk away several times. 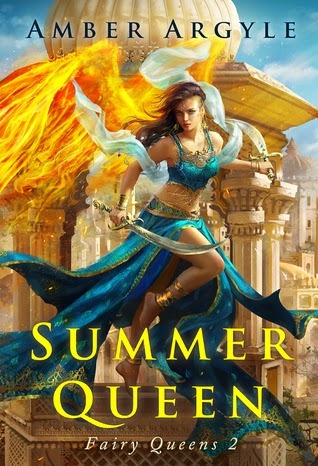 But this is a book about war and Nelay is in the middle of it, fighting for her life and her people. She never gives up. She never gives in. I think the message I took away from this, in the end, was about love. Love is what keeps us anchored. It keeps our humanity. Love is worth fighting for. Amber Argyle is such a gifted writer. She obviously knows how to draw the reader in and evoke real emotion. The scenes were vivid and real in my head. It takes talent to write like that. Content: Violence (graphic, and lots of it), sexual innuendo and situations. Kate sure has a big heart. I love that about her. She comes from a fun family and I cannot wait to read everyone's stories. It's going to be fun! Colton is a character that grows on you. As you see his struggles and learn his story you become attached. I couldn't help myself. I desperately wanted Colton to figure things out, find his way and feel happiness. I loved the small town feel of Maple Valley where everybody might be in everybody's business, but because of that, they also know how to help and support and pull together. This book is clean- no swearing or sexual content. It is a Christian fiction book and there is talk of God. Each book in this series is about a different character. Russ has been in the previous books so it was nice to finally have his story told. There have been questions swirling around Russ for a long time and finally we have some answers. 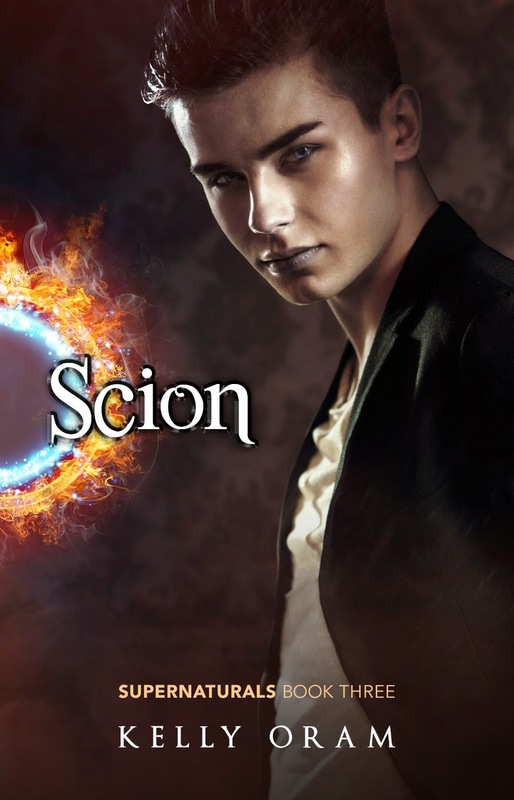 This book is fast paced and full on in magic and super natural powers. It is explosive. Russ is a constant paradox. He is good but bad. Cursed but Blessed. Full of love, full of hate. It definitely keeps things interesting! I love the whole cast of characters in these books. I love how these friends stick together. Always. Clara plays a large role in this book and I can't wait to see her shine in the next book. She is one powerful ~ whatever she is! You can get started reading the series now. 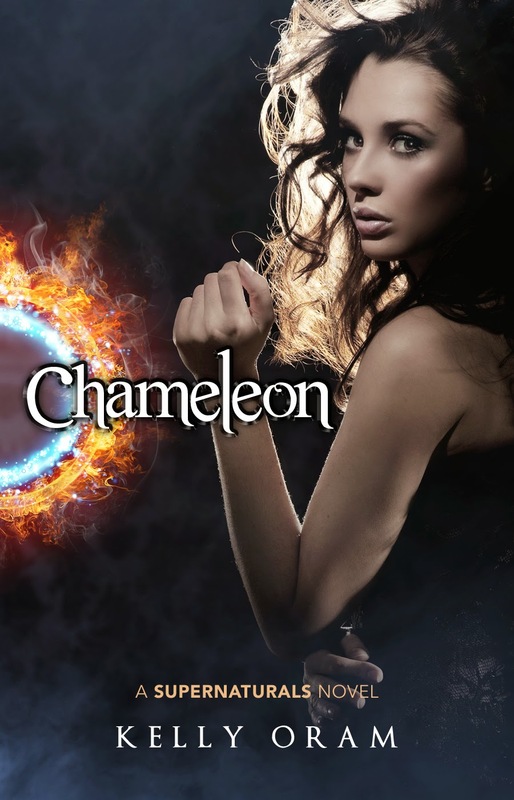 Chameleon, the first book in the series, is available for FREE DOWNLOAD on Amazon now through April 18th.